Asiad Steels is one of the recognized distributors and suppliers of SS 904L Nuts, which is an austenitic stainless steel specification offering moderate to high corrosion resistance. Meanwhile, the “L” in Stainless Steel 904L Heavy Hex Nuts stands for Low Carbon, specifically, that carbon added to the alloy represents .03 percent or less, which means that it has very good welding properties. The austenitic structure also gives Stainless Steel UNS NO8904 Nuts with excellent toughness, even down to cryogenic temperatures. 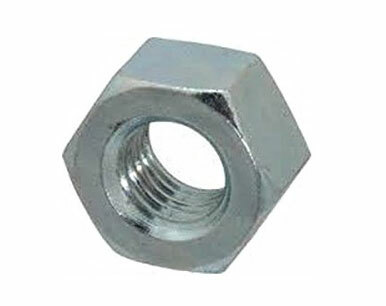 Stainless Steel Din 1.4539 Nuts is a non-stabilized austenitic stainless steel with low carbon content, which is also resistant to stress corrosion cracking and crevice corrosion. The addition of copper to Stainless Steel 904L Hex Nuts gives it corrosion resistant properties superior to the conventional chrome nickel stainless steels, in particular to sulphuric, phosphoric and acetic acids. Stainless Steel 904L Coupler Nuts is an austenitic stainless steel designed for moderate to high corrosion resistance, where its low carbon content improves cleanliness and weld strength. 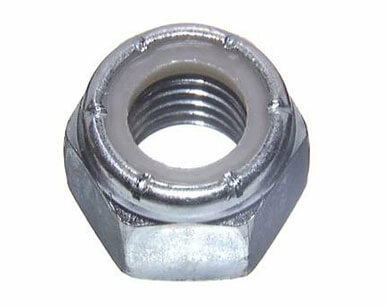 Stainless Steel 904L Nylon Insert Nuts is intended for use under severe corrosive conditions, where it has been application proved over many years and was originally developed to resist corrosion in dilute sulfuric acid. Structurally, Stainless Steel 904L Self-Locking Nuts is fully austenitic and is less sensitive to precipitation ferrite and sigma phases than conventional austenitic grades with high molybdenum content. Stainless Steel 904L Lock Nuts is often used in Marine environment, Chemical industry, Pharmaceutical industry, Food industry, and more. 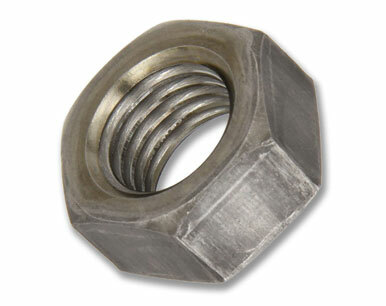 Buy 904L Stainless Steel Nuts at reasonable rates from us. We are Exporter of Stainless Steel 904L Nut in Worldwide Such as India, Vietnam, Oman, Ukraine, Chile, Philippines, Belarus, Indonesia, Gambia, Norway, Mongolia, South Africa, Lebanon, Mexico, South Korea, Malaysia, Netherlands, Portugal, Mexico, Bolivia, Japan, Hong Kong, Finland, Slovakia, China, Qatar, Sri Lanka, Gabon, Pakistan, Ireland, New Zealand, Yemen, Peru, Turkey, Spain, Poland, Colombia, Puerto Rico, Macau, Kazakhstan, Trinidad & Tobago,Tunisia, Namibia, Greece, United Arab Emirates, Afghanistan, United Kingdom, Canada, Belgium, Croatia, Thailand, Serbia, Saudi Arabia, Bulgaria, Italy, Poland, Brazil, Russia, Zimbabwe, United States, Taiwan, Costa Rica, Singapore, Morocco, Bhutan, France, Germany, Argentina, Lithuania, Iran, Estonia, Nepal, Libya, India, Tibet, Czech Republic, Israel, Iraq, Ecuador, Iran, Switzerland, Jordan, Kenya, Azerbaijan, Venezuela, Hungary, Austria, Denmark, Egypt, Nigeria, Algeria, Bangladesh, Kuwait, Ghana, Nigeria, Bahrain, Angola, Sweden, Chile, Romania, Australia. We are Suppliers of SS 904L Nuts in India Such as Mumbai, Dallas, Haryana, Pimpri-Chinchwad, Petaling Jaya, Aberdeen, Noida, Caracas, Santiago, Busan, Kuala Lumpur, Surat, Vung Tau, Brisbane, Edmonton, Cairo, Port-of-Spain, Sharjah, London, Manama, Al Jubail, Ankara, Perth, Hanoi, Coimbatore, Los Angeles, Moscow, Montreal, Kanpur, Jakarta, Navi Mumbai, Courbevoie, Ulsan, Doha, Calgary, Kolkata, Granada, Ernakulam, Abu Dhabi, Jaipur, Kuwait City, Thiruvananthapuram, Mexico City, Ranchi, Gurgaon, Chiyoda, Bangkok, Geoje-si, Algiers, Seoul, New Delhi, Faridabad, Sydney, Toronto, Houston, Ahvaz, Chennai, Muscat, Ahmedabad, La Victoria, Lahore, Howrah, Secunderabad, Chandigarh, Tehran, Bhopal, Vadodara, Istanbul, Al Khobar, Hyderabad, Dammam, Riyadh, Rajkot, Nagpur, Karachi, Madrid, Pune, Colombo, Indore, Lagos, Thane, Jeddah, Jamshedpur, Melbourne, Visakhapatnam, Nashik, Hong Kong, Milan, New York, Ludhiana, Atyrau, Singapore, Bengaluru, Gimhae-si, Bogota, Mumbai, Rio de Janeiro, Baroda, Dubai, Ho Chi Minh City.